With Everything Today Settled Online, Do I really Need A Lawyer? Why do I need a lawyer to deal with a serious personal injury claim? When you’ve been injured, the party responsible for your injuries often carries insurance to cover some or all of the damages you have suffered. However, an insurance company’s primary goal is to maximize its profitability by minimizing the amounts it pays out in claims. Insurance adjusters are professionals – and they’re skilled at undervaluing the claims of injured people for their company’s benefit. You can choose to settle a wrongful claim on your own – but you may end up settling your case for a fraction of its true value. Hiring the right lawyer levels the playing field between you and the insurer, and ensures that you receive compensation for the full value of your claim. 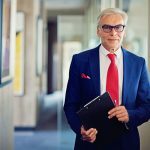 Do I need a personal injury lawyer with “foreign” legal experience? When cases implicate the laws of more than one province, or states south of the border, you need a lawyer familiar with handling complex cross-border cases to ensure that your case is competently handled from start to finish. The interplay of laws between provinces and between countries demands a specific skill set most lawyers will never glean from a lifetime of domestic cases. What makes the Cross Border Law approach unique? At Cross Border Law, we handle death, injury, medical malpractice and product claims for Canadians in the U.S., and for Americans in Canada. As lawyers who focus their practice on complex cross-border litigation, we’re fully aware of the subtle nuances between American and Canadian law, and put our knowledge to work to maximize your recovery. We prepare your case for trial, not for settlement. While most cases eventually settle before trial, we believe that thorough preparation for trial is the best way to maximize the value of your case. If the insurer seeks to settle on your terms, we’ll always listen. If not, we are fully prepared to “go the distance” and take your case to the courtroom. We believe a trial-focused approach is sound in principle, and delivers results in practice. See our Results for examples of how some of our past clients have benefited from this approach. We typically handle cases on a contingency basis. We are paid a portion of the total recovery, and not until you recover. While you are ultimately responsible for disbursements or litigation expenses, we are prepared to advance the necessary sums to prove your case. We are pleased to offer a free initial consultation to give us an opportunity to explain how we might assist you. To get help with your case right away simply fill in the free no-obligation consultation form below or call us at 604-742-4242 now.